Scroll Down to Watch Online. Andrew Low was a plucky 16 year-old Scotsman who came to Savannah seeking his fortune in the late 1820s. 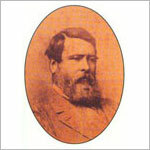 He became involved in one of the key import/export businesses of the day – that of buying and selling cotton. By 1847 he was a rich man with a beautiful wife, two daughters and a young son. Low commissioned the renowned architect John Norris to design a stylish mansion for his young family, but before they could move in, Low’s wife and son died suddenly. Low moved into the house in 1849 as a devastated single parent with his two daughters. 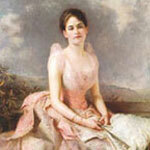 He married again five years later and produced more children including a son and heir, William Mackey Low. The house was filled with children, dogs and many distinguished guests who were friends of Andrew Low, including Gen. Robert E. Lee and the British author William Makepeace Thackeray. Were it not for the great old Savannah house bearing his name, Andrew Low would largely be forgotten today, more than 120 years after his death. But Andrew Low and the people connected to him were key players in our nation’s history. Prominent among them was his daughter-in-law Juliette Gordon Low, who founded the Girl Scouts of the USA in the parlor of the stately home. She died there in 1927 and the house was purchased by the National Society for the Colonial Dames of America in the State of Georgia. 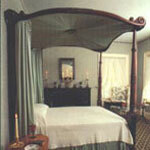 The home was lovingly restored to its former grandeur and has been open to the public since 1952. The Andrew Low house is said to be haunted by ghosts. Its long-time housekeeper often smelled a "strange, sweet perfume" on the grand staircase. There have been sightings of men dressed in old-fashioned clothes, of a rocking chair moving with no one in it, of an old woman lying on her deathbed. 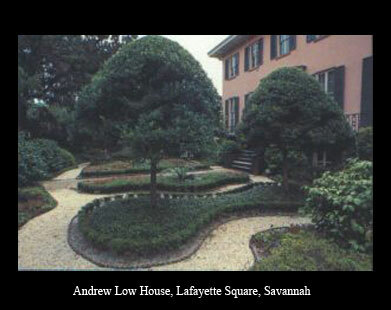 Andrew Low: A Savannah Story takes us back to another time, where we meet the fascinating people who inhabited the fabled house on Savannah’s picturesque Lafayette Square. And their ghosts are still with us today.